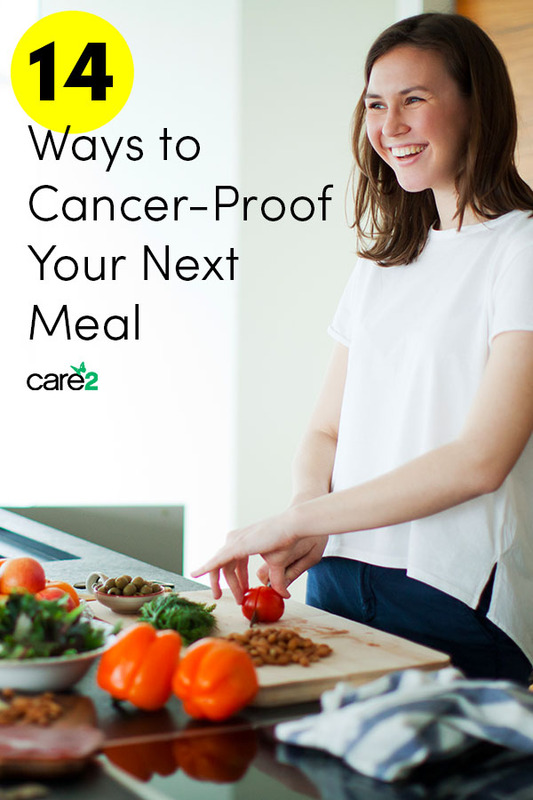 It’s not hard to boost the cancer-fighting power of your meals. Here are 14 easy ways to cancer-proof the food you eat. Add More Orange to Your Plate: Not the artificially-dyed foods that have been linked to causing cancer, instead, add more orange fruits and vegetables such as carrots, sweet potatoes, mangoes, squash, pumpkin and apricots. These foods contain plentiful amounts of carotenoids, including beta carotene which is a well-established anti-cancer nutrient. Skip the Nitrate-Infused Meats: That includes processed luncheon meats, bacon, cold cuts, hot dogs and sausage. Most of these foods contain cancer-causing nitrates. Choose Organic Foods: A study found that by switching to organic foods instead of pesticide-laden ones, you can slash your cancer risk between 25 to 73 percent. Study participants cut their overall risk of developing cancer by 25 percent while lessening their risk of lymphatic cancer by 73 percent simply by choosing organic foods. The lymphatic system is a network of nodes, tubes and glands that remove waste products from the tissues throughout the body. Cook Over Lower Temperatures: Use low to medium cooking temperatures. When meat is heated over high temperatures or comes in contact with flames, compounds called heterocyclic amines (HCAs) and polycyclic aromatic hydrocarbons (PAHs) can form. Both compounds are known carcinogens. Add Vitamin C-Rich Fruits and Vegetables: Not only is vitamin C a powerful antioxidant that fights free radicals linked to cancer, it is particularly important to get enough of this vitamin if you’re eating grilled food. That’s because research in Molecular Biology Reports shows that vitamin C reduces the cancer-causing effects of HCAs. Crank Up the Cruciferous Vegetables: Research in Asian Pacific Journal of Cancer Prevention shows that cruciferous vegetables contain glucosinolates that form cancer-protective compounds known as isothiocyanates. Cruciferous vegetables include broccoli, cauliflower, cabbage, Brussels sprouts and broccoli microgreens. Eat More Leafy Greens: Packed with many vitamins and minerals, leafy greens like beet greens, collards, kale, lettuce and spinach can help keep your immune system strong to fight off cancer cells. Cut Back on Sugar: According to research in the medical journal Cancer Research, sugar may actually be linked to the formation of cancer. Apparently, cancer needs a large amount of glucose, which is found in sugar, to survive. Choose the natural sweetener stevia in place of sugar. 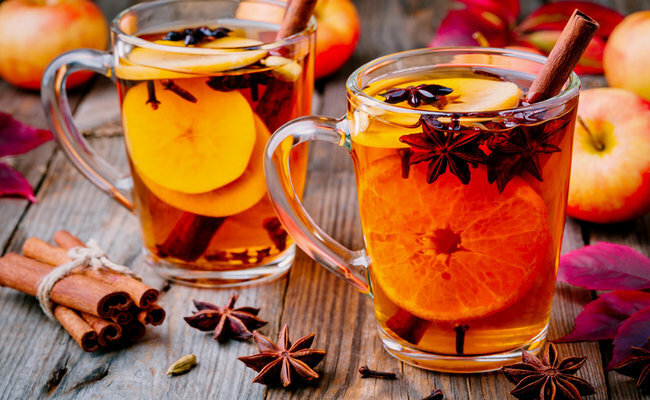 Add Cloves: While you may already enjoy cloves in spice cake and chai tea, you may want to sprinkle ground cloves on more of the foods you eat. That’s because research found that cloves contain many anti-cancer compounds including: phenolics, oleanic acids, betulinic acids and dimethyl cardamonins—all of which have demonstrated anti-cancer properties. Add Brazil Nuts: Packed with cancer-fighting selenium, deficiencies in this mineral can be linked to an increase risk of cancer. Add Beans: Beans are among the best sources of fiber. Fiber helps keep your bowels moving and that means toxins that are linked to cancer are eliminated from your body faster than with low fiber diets. Add a handful of beans to soups, stews, salads, or add tomato sauce and enjoy. Strive for at least one-half cup of beans daily. Eat an Apple a Day: The old adage was right. Eating an apple a day might keep the cancer doctor at bay. Thanks to their phytonutrient content, apples have been shown to lower the risk of lung cancer in numerous studies. Go Crazy for Curries: Turmeric, which is one of the spices commonly used in curries, shows promise against cancer. In a study published in the medical journal Precision Oncology, researchers found turmeric starved and shrunk prostate cancer tumors. Curcumin not only shows benefits for prostate cancer, it has been found in multiple studies to reduce colon cancer risk. In one study published in Cancer Prevention Research researchers found that curcumin suppressed the ability of colon cancer cells to proliferate. Is Sugar Consumption Really Linked to Cancer? If it were only that simple. Thanks.